Site-specific outcomes of resection for periampullary cancer have not been analyzed on a large, registry-based scale. We assessed data on periampullary cancers from the SEER database. Site- and stage-specific outcomes were analyzed. Resection was compared to no resection. Resection was the main therapy in stages 1 and 2 (resection vs. no resection, 8644 vs. 7208 patients), was less frequent in stage 3 (1248 vs. 2783 patients) and was rarely—but still—used in stage 4 disease (541 vs. 11,212 patients). Pancreatic head (75.7%), 11.4% distal bile duct, 7.7% ampullary, and 5.3% duodenal cancers. Cancer subtype-independent median survival was 22.0 (resection) vs. 7.0 months (no resection) in stages 1 and 2, 21.0 vs. 8.0 months in stage 3, and 10.0 vs. 3.0 months in stage 4. Subtype-dependent median survival (resection vs. no resection) was 18.0 vs. 5.0 months in pancreatic head, 19.0 vs 4.0 months in distal bile duct, 41.0 vs 7.0 months in ampullary, and 38.0 vs 4.0 months in duodenal adenocarcinoma. On multivariable analysis, patient comorbidities, marital and insurance status, and income all influenced the decision to undergo resection. Surgery is still underutilized in the treatment of periampullary cancers. 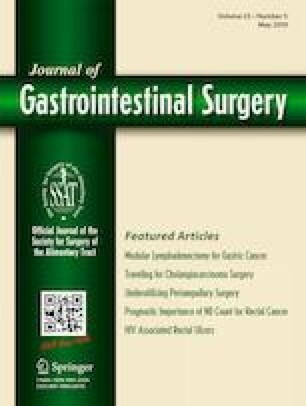 Patients with cancers originating from the duodenum or the ampulla of Vater benefit most from resectional surgery. Christoph W. Michalski and Bing Liu contributed equally to this work. The online version of this article ( https://doi.org/10.1007/s11605-018-3897-4) contains supplementary material, which is available to authorized users. We would like to thank Claudia Bernardi for the continuous support during the preparation of this study. Christoph W. Michalski, Bing Liu, and Max Heckler designed the study, performed data acquisition and statistical analysis, and prepared the manuscript. Susanne Roth, Ulrike Heger, and Huihui Sun contributed to the quality control of the data and to manuscript editing. Markus W. Büchler and Thilo Hackert contributed to the design of the study and edited the manuscript. Surveillance Research Program, National Cancer Institute SEER*Stat software (www.seer.cancer.gov/seerstat) version 8.3.2.